Featuring a production collaboration with acclaimed electronic artist Tim Shiel (Faux Pas; Bertie Blackman; Telling), a guest appearance from Berlin-based art-pop melodist Phia, and the sweep and splendour of a live string section, Astral Debris is glitter and grunt; shimmer and sweat; lipstick and blood. Near-naked piano ballads stand alongside retro-futuristic synth-pop gems, and in testament to Fields’ undeniable charisma, it all works. Astral Debris’ first single, ‘Hood & the Hunter’ is a feminist retelling of the Red Riding Hood fable. The track evokes a forest-green lushness, with Fields’ vocal swiftly darting from goose-bump intimate to a commanding, war-cry wail. Second single ‘Open Orange’ features a guest appearance from Phia and her trademark African kalimba. Both hailing from Melbourne but living in separate corners of the world, the singer-songwriters had met randomly in Europe several years prior. But it was Tim Shiel who suggested getting Phia on ‘Open Orange’, despite the oceans between them. In Nashville, Tennessee, renowned producer/engineer Brad Jones (Missy Higgins; Josh Rouse; Ron Sexsmith) bestowed his mixing alchemy onto the album’s more organic, classic-pop tracks ‘It’s You’, ‘A Sisyphean Grail’ and ‘My Favourite’. Whilst back in Melbourne, album singles are already garnering praise. Fields made her debut in 2010, with the release of her critically acclaimed self-titled album. Recorded with her 15- piece ‘Mini-Indie-Orchestra’, the LP crystalised Fields in the national consciousness as a singer-songwriter on the rise. In her adventurous career to date, the eclectic songbird has performed with a string section from the Melbourne Symphony Orchestra, appeared on television’s RocKwiz, and sung duets with such Australian luminaries as grunge pioneer Kim Salmon and ARIA-award-winning songwriter Clare Bowditch. Whether robed in glistening electronica, old-world Hollywood strings, or backed by her rock-solid rhythm section, Fields’ indisputable pop smarts shine through. 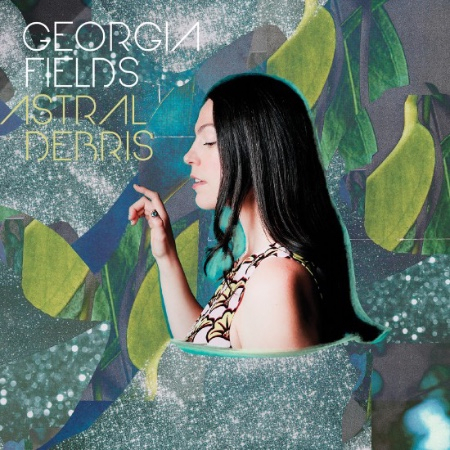 Astral Debris is released nationally on Friday 2nd September 2016 (MGM).